Everybody who hates boats has their reason for hating them. Mine is The Cat. The Hai Xia Hao is a high-speed catamaran that plies the waters between Taiwan and Pingtan Island, off Mainland China. But I knew it before, almost fifteen years ago now, when it was still called The Cat. Back then, it plied the waters between Bar Harbor, Maine, and Yarmouth, Nova Scotia, and I hated it. 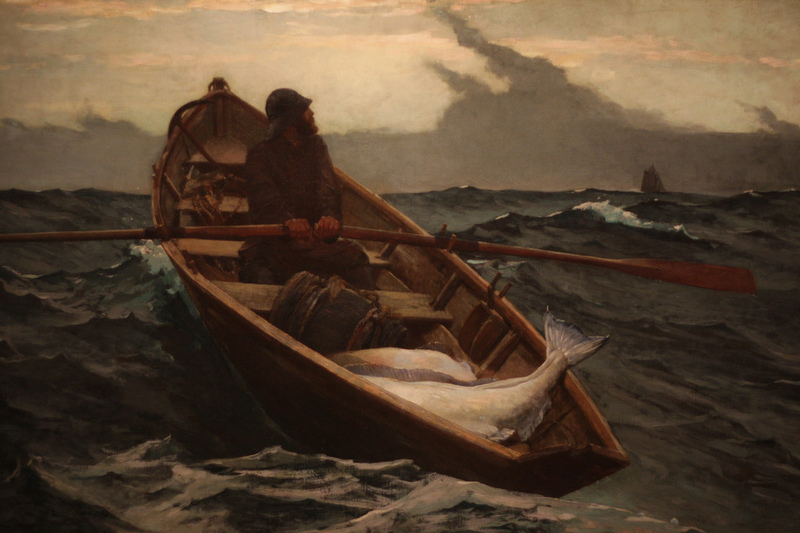 It was a particularly beautiful mid-summer morning – frigid cold and rainy, with a sky as steely as a knife blade – when we set out from Mount Desert, bright green and dressed in lupine, across the Gulf of Maine, to Yarmouth, Canada’s lobster capital at the southern tip of its lobster-shaped province. I had just finished my freshman year of high school. I liked to collect countries, and this would be my first time to the Great White North. The Cat was a monster, more a lion or tiger than a domestic feline really, able to carry 200 vehicles and nearly 800 people. It loomed above the docks just northwest of Bar Harbor. That morning, its top invisible through the fog, it looked particularly monstrous. It was Leviathan, and I was nothing before it. The passenger area of the inside of the boat teemed with people. But, based on her experience on Italian ferries, my mother made a beeline for the outdoor deck, pulling me along behind her through the queuing tourists and the hazy aroma of frying Canadian bacon. (In Canada, they just call it ‘bacon,’ or so goes the joke.) I followed her, but the air outside was cold and damp. I began to shiver, and decided to head inside. My mother warned me not to go inside, that I would regret it. But I was shivering and figured it’d be better to brave the queues and the bacon scent than suffer the cold and the driving mist of the deck. The ship bounced abruptly over the choppy sea. I generally associated sea travel with a rocking sensation, but, at such high speeds, the rocking was replaced by a feeling best described as rapid bouncing, as if the ship’s mechanism involved nothing more than an enormous pogo stick and a jet pack. 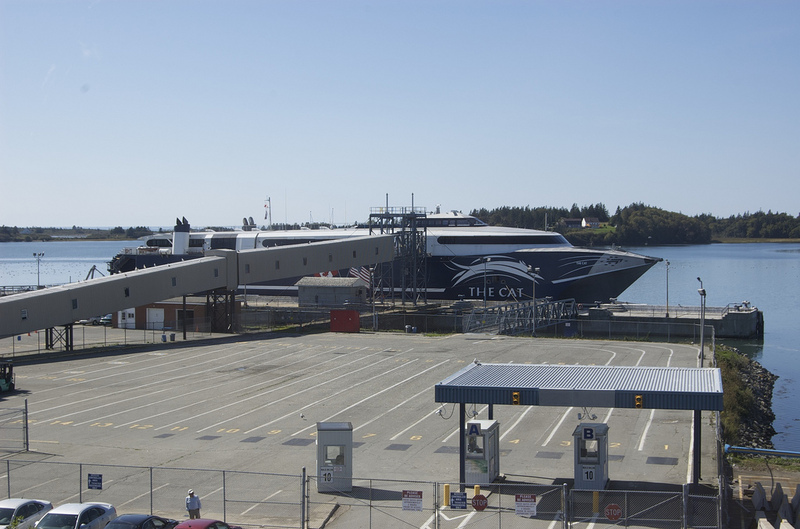 The Gulf of Maine is the outlet for the Bay of Fundy, home to the world’s most dramatic tides. You imagined you could feel the force of those tides beneath the vessel, raising you up and suddenly dropping out beneath you like some vulgar carnival ride. You remember The Descent into the Maelstrom. (There’s an actual whirlpool, the Old Sow whirlpool, not too far away.) The horror of certain Winslow Homer paintings comes flooding back to you: the waves, the rocks, the icebergs, the shipwrecks, the desolation of these very seas. You begin to see why cats hate water. This bouncing motion, combined with the penetrating scent of the frying meats, quickly formed a perfect storm for seasickness. (In fact, ipecac, I’m lead to believe, is equal parts Canadian bacon and that particular movement.) People around me swirled in misery, their faces a sour green, their eyes so pained and lost and animal, their mouths contorted and downright Munchian, dashing for the bathrooms every minute or so wailing like humpbacks. Finding it difficult to stand, I found a seat by a window. This was The Plague, and there was no escape. This was cat scratch fever, down to the chills and the headaches. This was No Exit. Hell isn’t other people; Hell is The Cat. To take my mind off my stomach, I focused on the ship’s employees’ watches. One read 11:00. She was from Nova Scotia, which follows Atlantic Time. One read 10:00. He was from Maine, which follows Eastern. Another read 11:00. Nova Scotia. Another 10:00. Maine. 11:00. Nova Scotia. 10:00. Maine. 11:00. Nova Scotia. 10:00. Maine. A temporal shibboleth. This trick worked for a little while, long enough for me to compose myself somewhat, until my mind paused between Maine and Nova Scotia, fixating on the rough waters that separate them, the waters that churned beneath me. And there was that bouncing motion. And there was the aroma of the Canadian bacon penetrating each and every olfactory sensor. And there was that peculiar feeling welling up once more deep inside me. I quickly scanned the boat’s interior to again familiarize myself with the shortest path to a toilet just beyond the slot machines. 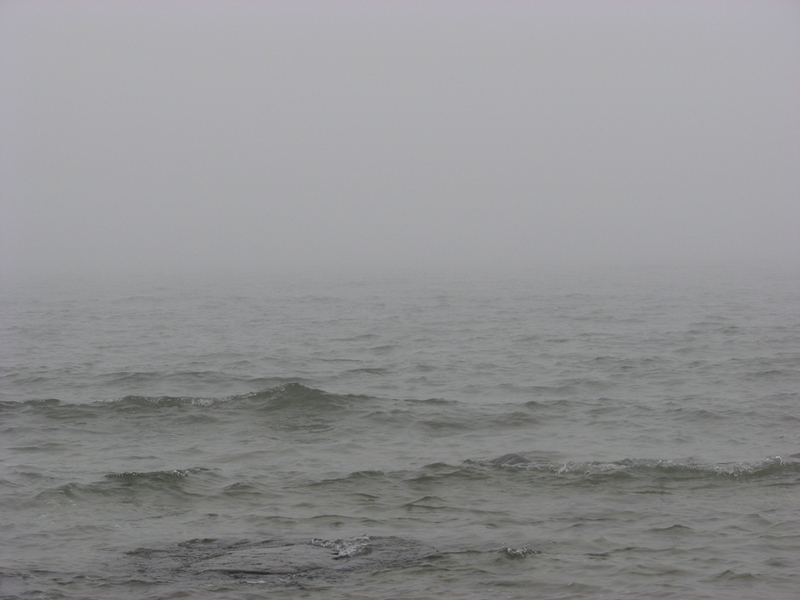 The Gulf is more vast than you realize, and, in the heavy fog, it doesn’t just feel interminable, it is. Standing on the deck, you see a few waves lapping against the sides of the boat. Standing inside looking out, you see only gray, nothing more, just gray. You never fully comprehend gray until that moment, how all-encompassing it can be, how you take things like horizon lines and sight itself for granted. You begin to wonder whether, at some point, you’ll reach some Narnian sea of lilies where the sky and sea meet, or whether you’ll simply fall off the Earth in some great cascade into the void. You think you might. You’re pretty sure you will. In fact, you’re quite certain of it. And so, with gambling legal and promoted, rows of slot machines, dozens of them, stood side-by-sides in one section of the boat’s interior like some horrible Vegas-on-the-Waves. Most were unoccupied, their lights blinking like lighthouses warning you away. One lone older woman in a sweatshirt pulled a machine’s lever over and over and over again, deftly, as though working an assembly line, as if the machine were an extension of herself. I watched her, mesmerized by the repetition of her movements. She had two buckets, one on either side of her. She grabbed coins from the one to her right, inserted them into the machine, pulled the lever, and turned to the one on the left to vomit as the spiteful lights and sounds and spinning of the game mocked her. She did this over and over and over again. I couldn’t imagine there could be anything left for her to throw up, but there it was. This wasn’t her first time, I’m sure of it. I got the feeling this was her idea of fun, traveling back and forth and back and forth across the Gulf of Maine like some addicted Ahab, racking up nickels in one bucket, emptying her guts into another. She needed a pamphlet and an 800-number, but who would go near her? Eventually, thank God, I fell asleep. I didn’t dream. It was just darkness, motionless darkness, a darkness that was such a welcome respite from the bacon-scented bouncing gray of the journey that it might as well have been nirvana. I awoke as the boat slowed and the waves grew calmer. The bouncing stopped. Still sick to my stomach, but slowly recovering, I rejoined my parents on deck. They shivered but seemed unaffected by the plague below deck. I envied them, I did, but I was too proud to admit it. The green must still have shown on my face, though, and my mother let out a half-muttered “told you so.” Beside the boat, a lone seal bobbed in the waves beside the ship, staring up at us through coal-black eyes, before darting back and forth as if the ship were its plaything. A mermaid, perhaps, or a selkie returned at last to the sea. 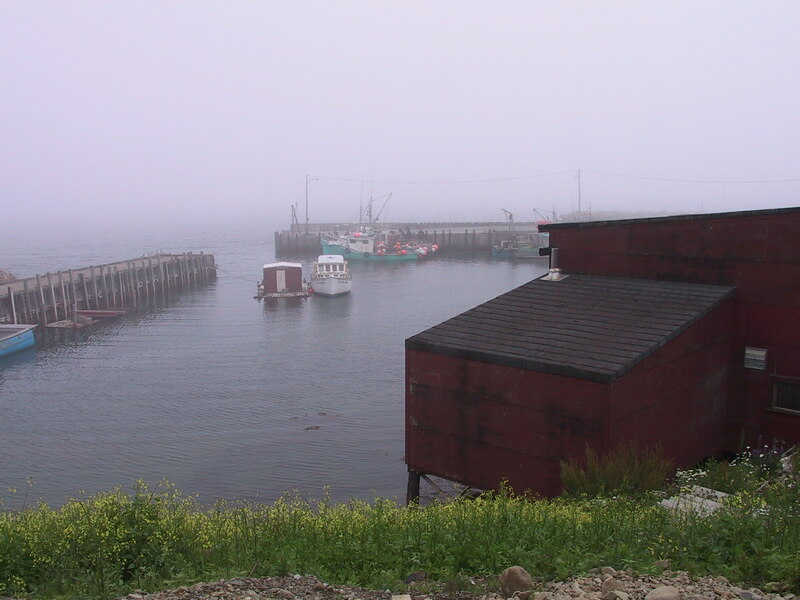 Through the thick fog, the rocks of Yarmouth’s harbor slowly came into view, a place Leif Ericson may have visited in the ninth or tenth century, followed by the brick and wooden buildings of the old town itself. I’d never been so happy to set foot on soil, I could have knelt and kissed it. So this was Canada, I thought. Country number 8. I’ve never fallen in love with a country so fast or so deeply. (And I really did. There are few places on Earth as beautiful as Peggy’s Cove, Blue Rocks, Lunenburg, and Cape Breton Island, and few populations as sweet and kind as Nova Scotia’s.) And so, to the terrible meowing of The Cat, I ended my days of seafaring. Hemingway and Melville killed off any lingering desire to see the watery part of the world other than from plane or shore. (I developed an allergy to cats, too, which, I assume, must be related.) But whatever, travel by land is more interesting anyway. Reminds me of ferry rides between Le Conquet and L’Isle de Ouessant off the Breton coast. Wonderful essay – thanks! Think I was on the same trip. As people came on board they immediately lined up for breakfast. A short time later those same people were lined up at the nearest restrooms. I was determined to buy a souvenir. It took quite a bit of effort and dexterity to walk from Point A (my seat) to Point B (the souvenir shop). I had to hang on to whatever projection was near. I was successful at purchasing the souvenir and at avoiding the restrooms. Like you, I was glad to get on land and I, also, met some of the nicest people in Nova Scotia. Thanks for the post. That’s the one! Quite a ride, no?